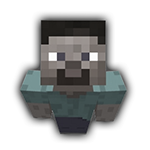 Blue_Dragon360 - Viewing Profile: Profile Feed - SixtyGig - The Minecraft server for mature gamers. Well... They decided to use the slowest shipping method possible... Next Tuesday! I'll probably be absent from the server (and possibly the forums) for a bit. Currently working on shopping for parts on a PC build, which is gobbling up time. YAAY! US title II reclassification! :D :D :D Great news! Hurrah! Food always gets them in the end 8) Purr. Sorry to hear this Drags! Very happy to hear your cat came back! Did you bill them? Monthly ofc.